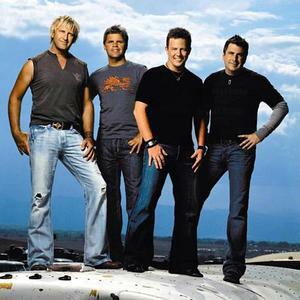 There are at least 3 artists called Lonestar: 1) Lonestar is an American country music group consisting of Richie McDonald (lead vocals), Michael Britt (lead guitar, background vocals), Keech Rainwater (drums), Dean Sams (keyboards, melodica, background vocals), and Michael Hill (Bass Guitar). McDonald left the band in November 2007 for a solo career before returning in 2011. During that time, Cody Collins, who had formerly been in another country group called McAlyster, replaced McDonald as the band's lead vocalist. 1) Lonestar is an American country music group consisting of Richie McDonald (lead vocals), Michael Britt (lead guitar, background vocals), Keech Rainwater (drums), Dean Sams (keyboards, melodica, background vocals), and Michael Hill (Bass Guitar). McDonald left the band in November 2007 for a solo career before returning in 2011. During that time, Cody Collins, who had formerly been in another country group called McAlyster, replaced McDonald as the band's lead vocalist. John Rich was also the group's bass guitarist and second lead vocalist until 1998, when he was fired from the group. He left for a solo career, before joining Big Kenny in the duo Big & Rich in 2003. Since Rich's departure, Lonestar has not had an official bass guitarist. The group began having major country hits in 1995, with the top 10 hit "Tequilla Talking." Their first No. 1 hit was "No News," which spent three weeks at the top of Billboard magazine's Hot Country Singles chart in 1996. Lonestar's signature song is "Amazed," a ballad which spent nine weeks at No. 1 on Billboard's country chart during the summer of 1999. The song subsequently climbed to the top of Billboard's Hot 100 chart, the first country act to accomplish the feat since 1983's "Islands in the Stream" by Kenny Rogers and Dolly Parton. Another popular Lonestar song was "Mr. Mom". This song is on of the most played songs on radio stations to date. Other No. 1 hits include "Come Cryin' to Me" (summer 1997); "Smile" and "What About Now" (both 2000); "Tell Her" and "I'm Already There" (2001); "My Front Porch Lookin' In" (2003). Other important hits in Lonestar's discography include "Running Away With My Heart" and "When Cowboys Didn't Dance" (1996); "Heartbroke Every Day" and "You Walked In" (1997); "Say When" and "Everything's Changed" (1998); "With Me" (2001); "Not a Day Goes By" and "Unusually Unusual" (2002); "Walking in Memphis" (2003); "Let's Be Us Again" (2004); "Class Reunion (That Used to Be Us)" (2005) and "You're Like Coming Home" (2005). Their current single is "I'll Die Tryin'", which is a cover of another Emerson Drive song released three years earlier. During Lonestar's early years, songwriter John Rich was also a member as the band's bassist. He left the group in 1998 and is now part of the country duo Big & Rich. On May 1st, 2006 Lonestar sang the National Anthem at Fenway Park in Boston with the return of Johnny Damon. 2) Lonestar is also a progressive house project by Derek Howell. See the releases at Discogs. 3) Lonestar is the name of an electronic/experimental musician in Germany who has released on the Mephtik Netlabel in the past.